Auburn University is a proud participant in the Cadence University Program. The Cadence suite of electronic design automation (EDA) software is managed at Auburn by the ECE department. Cadence tools are software platforms enabling integrated design of complex, very large scale digital, analog, RF, and mixed-signal integrated circuits and systems-on-chip (SOC). These tools are available for use by all faculty, staff, and students affiliated with the University for use on research projects and class work. Cadence IC design tools are used in our IC design classes and in many of our research projects. We especially make heave use of IBM's SiGe BiCMOS design kits for high speed communications integrated circuits, for both wired and wireless applications. Here you will find how Cadence software is used in some Electrical and Computer Engineering (ECE) classes and in many research projects on RFIC and MMIC deisgn. To use any of the Cadence tools at Auburn University, follow these instructions. The instructions are updated periodically as new versions of the tools are installed. Tutorials on the use of various Cadence tools can be found at the Cadence University Program web sites of the following universities. 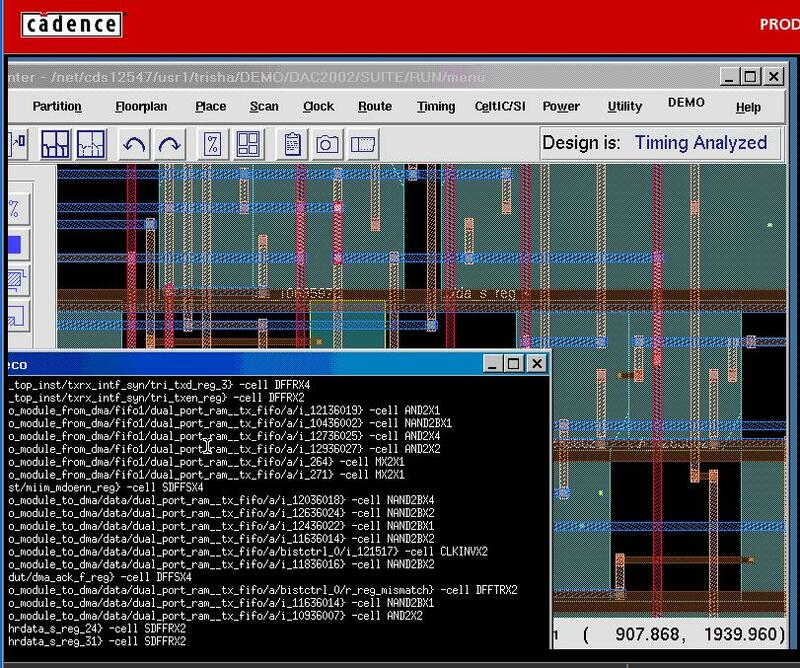 The image below is a screen capture of an IC design session using Cadence tools.